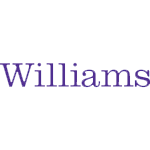 Integrative Wellbeing Services (IWS) at Williams College offers (2) two post-graduate students in counseling, social work, and psychology the opportunity for advanced clinical training with a fully compensated two academic-year (nine months/year) fellowship in college mental health. Through direct clinical psychotherapy experience, individual and group supervision, and didactic and experiential seminars, fellows gain experience learning to identify, formulate, and treat the emotional difficulties and disruptions to thriving unique to a college population. In addition to providing college-aged students with confidential mental health services, IWS embraces a holistic model of student well-being (heart, mind, body, and spirit) and collaborates with Health Services, the Chaplain's Office, the Davis Center multicultural programming, academic leadership, and others to support the whole student. The fellowship is intended to promote workforce diversity by encouraging candidates from underrepresented groups and/or those with a demonstrated interest in diversity, social justice, and multiculturalism to pursue careers in college mental health. Candidates will have a strong demonstrated interest and commitment to cultivating diversity and mental health practice within a college setting. Applicants are requested to include in their cover letter information about how they will further the college's goal of building a diverse and inclusive environment. Through groups, psychoeducational workshops, and special events, fellows work with staff to explore creative and systemic opportunities for student support and practice integrating emerging evidence-based intervention methods (e.g. mindfulness practices). Together, the IWS team works to recognize, understand, and collaboratively meet the dynamic needs of Williams' diverse student population. Provide evaluation, treatment planning, and individual psychotherapy for college students seeking services at IWS. Provide group psychotherapy (typically with a staff therapist); in the past, groups have included process-oriented groups (e.g. supporting students with depression or anxiety), skills development groups (e.g. mindfulness/meditation, class participation groups), and multicultural outreach groups. Provide overnight on-call and daytime emergency walk-in services one day a week and approximately 4 weekends over the course of the academic year. Receive two hours/week of individual supervision, and regularly scheduled peer supervision and multicultural training, in addition to weekly all-staff meeting. Attend and participate in weekly training seminars, as well as staff-trainee seminars and in-services. Topics may include, but not be limited to principles of psychodynamic, cognitive-behavioral, and dialectical behavior therapies; working in the group modality; holistic engagement and therapist use of self; and, working with a culturally diverse population. Teach in the didactic seminar series, and during the second year of the fellowship, provide supervision to pre-graduate interns, when possible. Attend various administrative meetings, such as Dean's Meeting, to gain experience in college mental health administration during their second year. This Fellowship program runs from September to June, and candidates must have completed all degree requirements and a clinical internship prior to the beginning of their appointment. Review of applications will begin on February 22, 2019 and continue until the position is filled.